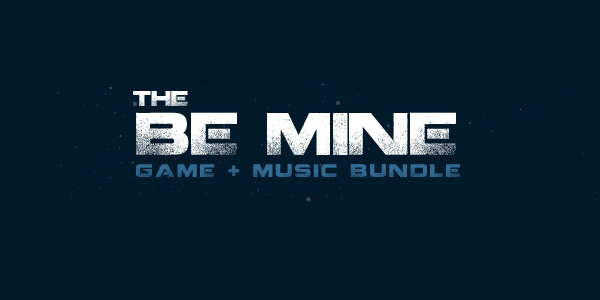 There are quite a few brave new changes coming to Backlog Journey which is kind of holding up most of my posts, but thankfully I managed to squeeze in some time to check out the Be Mine games bundle put out by Groupees. I have to say, I wasn't really expecting too much from it as the bundle was generally off my radar until a few days before launch. Obviously I was in the minority; the Groupees servers have been completely swamped since the original scheduled release, and it's only just recently after massive server overhauls that the bundle managed to launch at all. Despite these launching woes, Groupees has compiled a pretty great package. There are five games plus one bonus title to work through at the moment and Valentines Day has long since passed us, so let's not delay any longer. Skip past the break for some impressions. Xotic is a bit gross looking. Maybe that's not the best first impression to have on it, but it's really the only way I can think of to start this paragraph. It's got a very organic based art style, very much in the vein of the Oddworld series and such titles. It's a style that I personally don't much care for, and I was worried that my distaste for the style would colour my opinion of the gameplay. Fortunately for me, there's some very neat arcade elements inserted under the genre trappings. 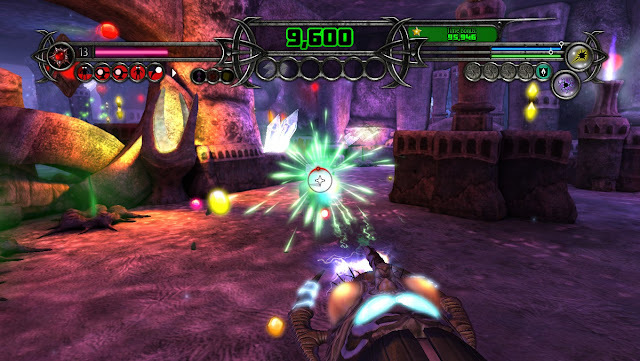 Xotic is a first person shooter, but it has a lot in common with first person platformers as well, with a hefty score system and chain based combos to give Xotic a major arcade influence. While there are enemies to shoot throughout the levels, there are also orbs to blow up, spores to combo into chains and lots and lots of points. There's also a timer to encourage as much rushing as possible, but also completion bonuses to encourage peeking in every corner. There's four different modes as well for every map, and a rating system mixed with leaderboards to encourage constant repetition and replayability. I really liked the scavenger hunt portions of the game, and rushing through each area to build as much of a combo as possible is a ton of fun, and once you figure out how the level is laid out you can figure out the best routes. The platforming is neat as well, with extra points awarded for firing and collecting items in the air, plus there are various power-ups affecting mobility; one adds a triple jump, for example. There's also a platform spawning ability that is neat in theory but way overpowered in practice. By simply jumping and spawning platforms at the apex of your jump, you basically have flight all the time. The levels are designed around this of course, but it takes a bit of the fun out of crossing large gaps when you can just spawn platforms any time and anywhere if you fall off. But really, my only major complaint is that I kind of wish the game just ditched the S part of the FPS aspect. The gun is useful for scoring chains, but actually fighting enemies isn't much fun and kind of a distraction. The random shooting moments tends to kill all the momentum built up by the arcade platform bits. Of course, there are levels and modes where enemies are completely left out so if you find yourself agreeing with me, that can more or less be fixed. It feels like WXP went for a Serious Sam or Painkilleresque FPS fused with an arcade platform game, but the shooting gameplay kind of lags behind. It's still a game well worth checking out. One things I love about indie bundles is that I get to play games I never would have tried otherwise. And this is quite true when it comes to Sideway New York. When I first saw this game crop up around the internet I thought it was just some advergame or something. Well I was kind of right (awful lot of graffiti artists that like painting the SkullCandy logo around New York, apparently) but also pretty wrong. Turns out Sideway is a pretty traditional platformer with a really neat art style and theme. The main theme of the release is street art, influencing everything from unlockable moves to enemies and obstacles to general design. 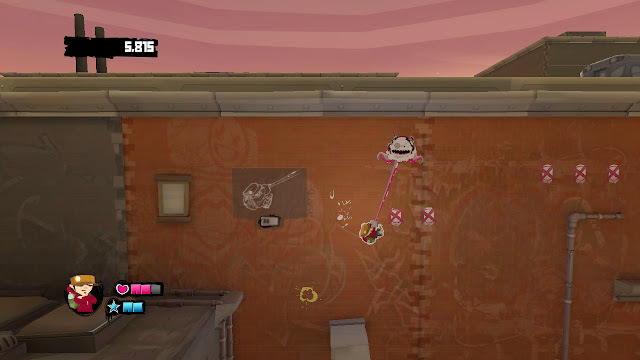 It's clear the developers really appreciate the street art movement, and the art design that goes into the graffiti covering the level is top notch. 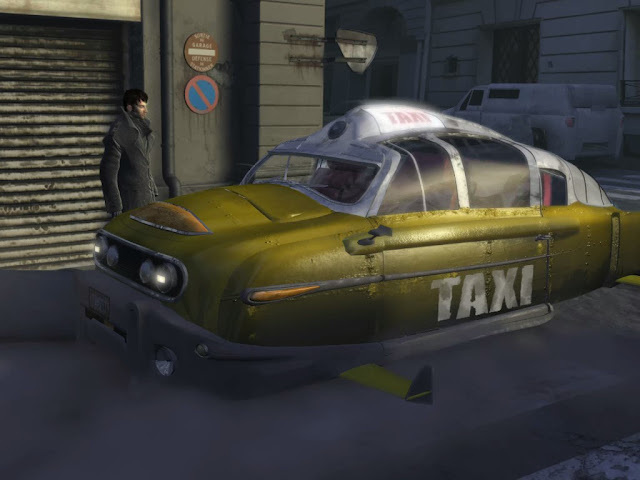 You play as Nox, a kid who is sucked into Sideway, a magical land that suspiciously resembles the side walls of buildings in NYC. 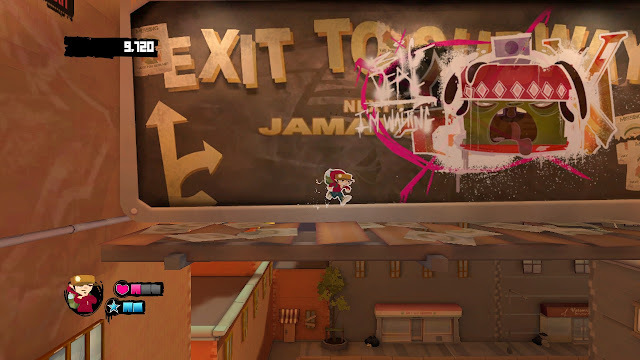 The entire game takes place on the buildings that make up the street art canvas, allowing for the very funky art design to flourish and also giving the game a bit of a perspective bending slant by wrapping levels around the corners and contours of the city. As for the platforming itself, it's pretty traditional running and jumping once you get past the building wraparound effect. That's not to say it's bad at all; Sideway definitely hits all the good points required for a great modern platformer. 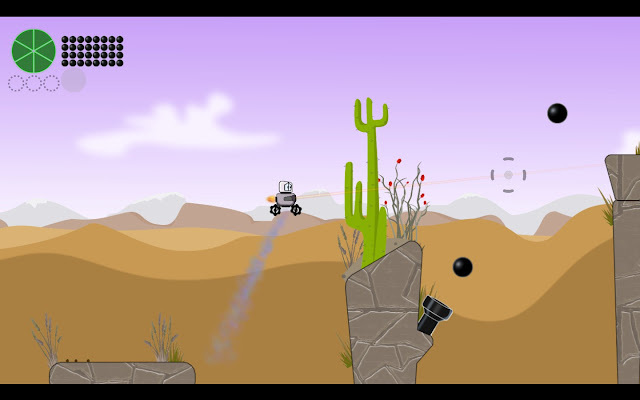 There are a bunch of upgrades scattered throughout the levels, each allowing for more complex manoeuvres. There are enemies to bop, score tags to collect, secrets to find and an overall score at the end to encourage replayability. There's also local co-op, which is always an appreciated feature. There are some frusturations, however; the controls are just a little bit too loose and there's just a few too many deaths where the blame lies at questionable hit boxes instead of player error. But overall, the gameplay is generally acceptable and up to the usual standards, helped by the neat perspective of the art design. Overall I'm happy with the time I spent on Sideway. It's not a genre defining reinvention or a post modern deconstruction like some modern platformers are, but it's worth a few hours here or there if you're a 2D platformer fan, even if just to see the neat 2D on a 3D surface perspective. One of the only upsides to total nuclear warfare is the fact that we'll all get to dress up in random bits of debris and leather and ram cars into each other all day, according to my most reliable sources. Of course, we could satisfy our love of car smashing and skip the whole utter devastation requirement through the magic of video games. 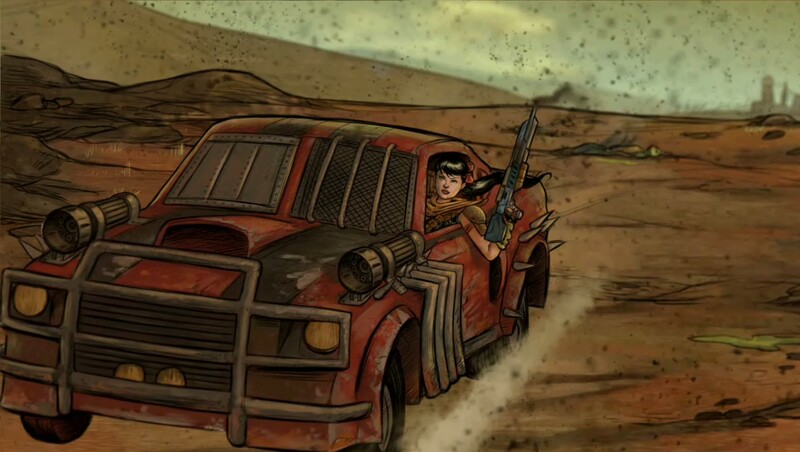 Because of this, the complete lack of post-apocalyptic car combat games seems like a real missed opportunity to me, because the genre/setting style just screams marketability. Wasteland Angel does its best to try and fill this gap in the genre, but there are a few too many problems to satisfy my Mad Max itch. The biggest issue comes down to one of control, or lack thereof. Despite playing with an Xbox 360 controller, which in theory should make everything better for top down games, the controls didn't seem to work all that well. 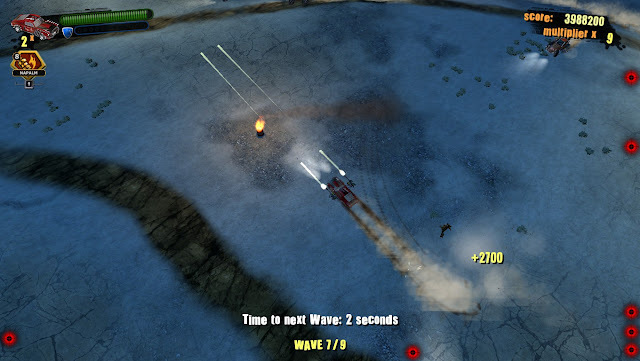 Wasteland Angel uses a racing game method of accelerating with the trigger, but also tank controls where left and right rotates your orientation. I much prefer simpler point-and-go mechanics like those found in most top down shooters, but I can deal with tank controls. Unfortunately they're very touchy and your weapons don't have amazing coverage, making it tricky to aim at a single moving target, let alone eight or nine. Secondly, making this into a defence game restricts your freedom and also makes the game less about mobility. You have to protect the towns you come across from raiders and slavers, a perfectly viable game design decision that has some unfortunate side effects. It pins you to the towns, making the already small levels smaller by punishing any sort of exploration. Secondly, it makes a large majority of the enemies stand still as they enslave the town. Immobile targets encourage you to park and focus fire the enemies down, instead of constantly moving, retargeting and dodging and it just makes the game seem very confined to these small areas. Worse, you can't heal yourself if there are any living enemies, but it is nearly impossible to gun down all of the other cars before the next wave arrives, which makes it even more difficult to finish before the wave after that, until you eventually have enemies swarming you. Mix that in with the requirement of protecting towns, and you have a very difficult to maintain defence game. It's not necessary bad design, but it does make the game overly challenging, and the finicky controls don't work well enough to demand the required levels of precision. Interestingly, the boss levels eliminate the town defence aspect, and they're easily the most fun levels I tried. In those ones, the freedom to use the wide open area to perform plenty of defensive driving stunts felt like a top down version of the vehicle segments in Borderlands. At those moments, Wasteland Angel worked really well. I just wish the rest of the game had this kind of feeling. It's not a bad game though. The presentation is great, with a neat comic book design and just enough of an intriguing hook to keep you playing. Add in the requisite scoring system and leaderboards and it works as a decent enough time killer. There are better top down shooters out there, of course, but there are a lot of far worse options as well. I'm going to give Beep my semi-unofficial award for biggest unexpected surprise game in the bundle, even though I'm a little torn on how much I actually like it. After that sentence, possibly the most confusing and contradictory one I've ever written on here, it's time to jump to a new paragraph. Hey, thanks for sticking around. Ok, Beep is a puzzle platformer where you are an adorable series of robots that must jump and run your way through alien worlds using wits, reflexes and anti-gravity based puzzle solving. Each robot is equipped with an antigravity gun, and you essentially have to use this gun move debris and hinged bits of walls to get through in one piece. The graphics aren't mindblowning or original, but they are sharp and run extremely smoothly. The physics are in a similar boat, with a very smooth and well implmented physics engine which makes tossing around dead robots and debris a lot of fun as you tread your way to the exit warp. But simply reaching the exit is not enough; your bots must also collect four pieces of anti-matter (three in the field and one through collecting twenty-five smaller pieces. It's not unlike the Star Coins so prevalent in New Super Mario Bros, and the puzzles required to find every bit of anti-matter are generally tricky and satisfying, relying on clever manipulation of mechanics. More anti-matter means more unlocked levels, so it's important to scour each level carefully. Generally the collectables are not well hidden, but are instead well sealed off; you don't have to spend as much time figuring out where you need to go, instead concentrating on how to get there. The puzzles aren't the most grey matter intensive teasers ever committed to code, but they work well as logical diversions and some later ones get fairly tricky. The combat, which seems to have been intended as a major focus, is unfortunately not particularly awesome. Your robot locks onto each enemy as you pass your cursor over it, and then it's just a matter of rapid clicking and dodging. In fairness, later levels add far more variety to the enemies but it never reaches a point where the combat serves any higher purpose than between puzzle filler. The platforming, on the other hand, is great. You have a very floaty jump influenced by your pal's thrusters, and thanks to the wonders of tread technology your robot can also somewhat cling to walls by revving up his wheels. It's fun and forgiving, with plenty of amusing leaps of faith and close calls of running up a wall out of a bottomless pit. It's not particularly attention grabbing, and I don't think I'll wind up spending too much extra time on it (see my review of Max and the Magic Marker; same deal here). However, it's an impressive title for a tiny dev team, and it's definitely worth a look if you consider yourself a big puzzle platformer fan. Back when I got The Ball from the Portal 2 ARG bundle, I distinctly remember not liking it. It seemed like something was off, whether it was the physics or the optimization or whatever. It also ran pretty terribly on my computer which didn't help things. Like I mentioned in my mini review of Roboblitz, I generally assumed this was an issue with the Unreal 3 engine and how it handles emergent freeform physics. But on replaying it for this bundle, I have no idea why I didn't like it the first time. This game is actually pretty all around great. The Ball is a physics game in which you roll a ball around. Upon delving into the first few rooms you might feel a few flashes of Portal. 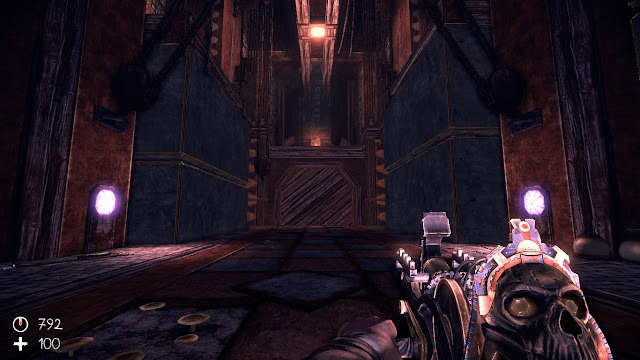 The game pretty much apes the Portal gameplay structure, with many distinct rooms with puzzles each centred around one basic mechanic used in many ways. That's not at all a bad thing; it's a proven formula that works for puzzle games and it works very well here. Each room generally revolves around figuring out how to navigate the Ball and yourself to various switches which operate ancient machinery to open the next door. Other elements get added in later as well, each building on the central ball mechanic and each expanding the complexity of the puzzles. 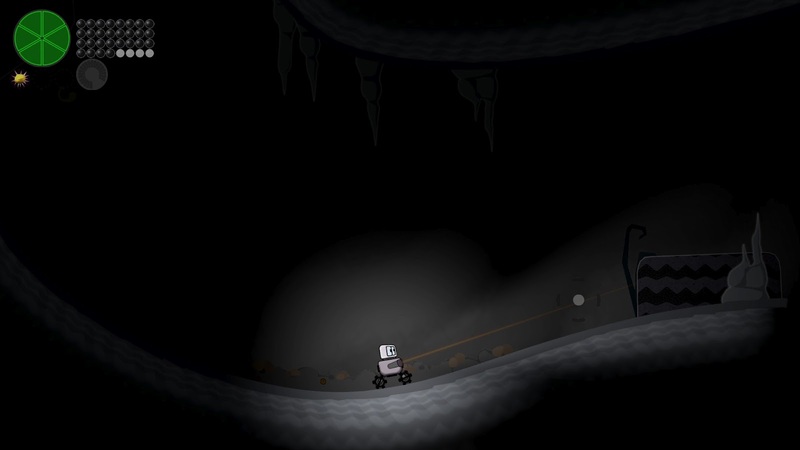 One area that The Ball moves drastically away from the Portal shadow is in terms of narrative and presentation. Instead of a voice urging you on, The Ball is an oddly lonesome affair due to the complete lack of other characters besides you and your inanimate round friend. Sure there are enemies around, but they hardly count as meaningful interaction (plus, according to most sources, they kind of ruin the game a bit. Unfortunately I didn't encounter any to conform or deny this). Instead of using narrative and writing to advance the game, Teotl Studios uses spectacle and curiosity to encourage the player to delve deeper into the underground ruins. The graphics and design of the ruins is really impressive, with huge pyramids and chambers overwhelming you at every turn. It's a great art design supported by the powerful Unreal Engine, and makes for some great eye candy. There are a few small issues I could complain about, such as the bizarre FOV placement that makes your character looks like he's 3 feet tall, or the occasionally glitchy physics moments. And there's the annoying enemies issue that many reviewers complained about. But in the end, it doesn't drag the experience down. The Ball is a very competent Portalesque puzzler and a great addition to the bundle. Plus the Portal crossover level included is all sorts of awesome. Beats the pants off the main campaign in my opinion. Nikopol is an adventure game with an impressive pedigree. Or at least I assume it's impressive; I can't say I'm all that familiar with the names Groupees excitedly cites in their description, but I like to be excited about things so I might as well go all in. The game is a point and click adventure based off of a series of graphic novels by Enki Bilal about a futuristic dystopian France full of wacky monsters and extreme religious fundamentalism. I can't say I'm all that familiar with the source material, but it's a neat hook for the game and the backstory is well developed. The game does make the odd choice to forgo heavy moments of exposition, so you're never totally sure what's going on. I personally prefer that style of world-building and storyline, but it may not suit everyone. 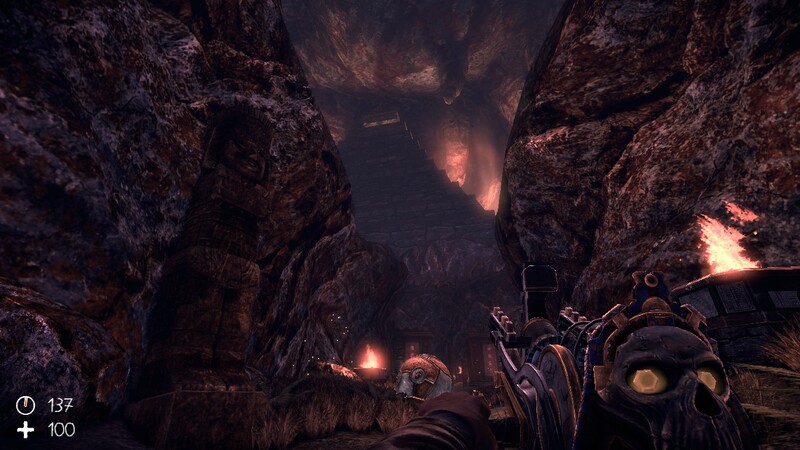 Graphically the game looks great but, well, a little mixed. The entire game takes place from the first person perspective of the eponymous Nikopol, an artist/jack of all trades who joins a freedom force. 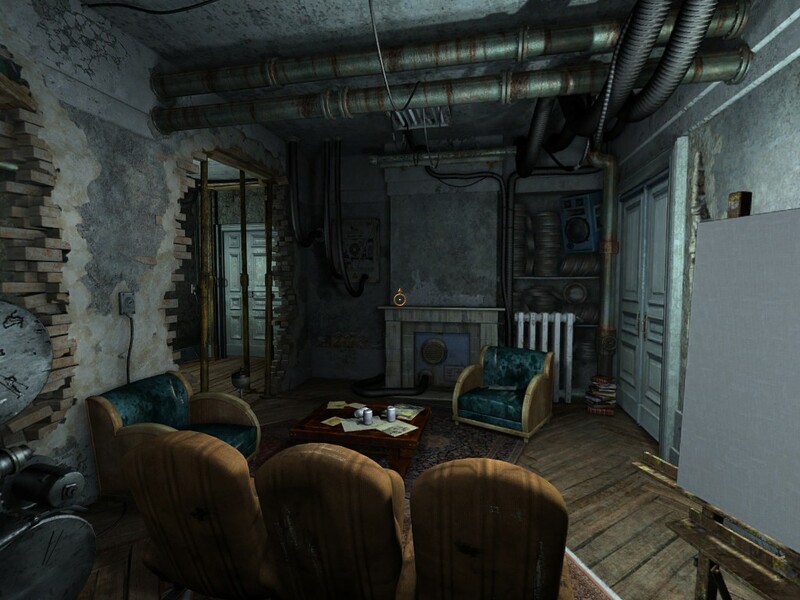 The animations are nothing amazing, mostly relying on still images, fades and canned model actions, but the attention to detail is really incredible, with tiny bits and pieces of scenery tucked into all of the angles afforded by Nikopol's 360 degree view of each area. The cutscenes are kind of in the middle, with a very cool comic panel editing style but with the same sort of B grade animations in the main game. Still, the aesthetics are good enough to deliver the story without getting in the way. Unfortunately, the gameplay doesn't follow suit. I firmly believe there are two kinds of adventure games in the world; story based games with logical intuitive puzzles, and use everything on everything games with silly puzzles. Nikopol seems to be the former, but wants you to think it's the latter. Every puzzle seems to be overcomplicated. For example, you have to figure out how to get past a collapsed hall that requires a brace. There's a clickable wood log on the floor. But you can't simply use the log to brace it; you need to click on a pile of dust drawn into the scenery to clear it away. But you can't clear away the dust if you're holding the log, so I wound up overthinking things and assuming I needed to find a shovel. This sort of thing actually happened three or four times in the first room alone. Maybe it's unintuitive puzzles, maybe it's just me overthinking things. Who knows? But the story, world and premise are definitely interesting enough for me to continue (albeit with a back-up walkthrough in hand) because I genuinely do want to see how it progresses and where the story goes. It's not particularly friendly to beginners or casual point and click fans, but if you consider yourself an expert or you're willing to take a peek at some walkthroughs, there's a really interesting and slightly bizarre story to experience. I mean, if any game gives me slight flashes of the Longest Journey it has to be worth a peek, yeah? In the end, Groupees has indeed put together a great bundle. None of the titles were really stand out must haves, but six decent games in one package is quite a great deal. There's a lot of time left to pick out your own, so if something here seems intriguing you can go pick up a bundle for yourself. As mentioned before, a few changes are coming soon to Backlog Journey, so check back soon or follow us on Twitter, Facebook or Google+ to know right away.